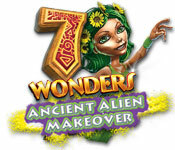 7 Wonders: Ancient Alien Makeover is rated 4.5 out of 5 by 48. Rated 5 out of 5 by Nora1at from EXCELLENT! The Game is super good, the best of 7 Wonders .I had to buy it immediately' m totally fallen into so great, only recommended ! Rated 5 out of 5 by ElNirmalSitaldin from Another Wondrous Match-3 Game :) Another fun 7 Wonders game added to the series! 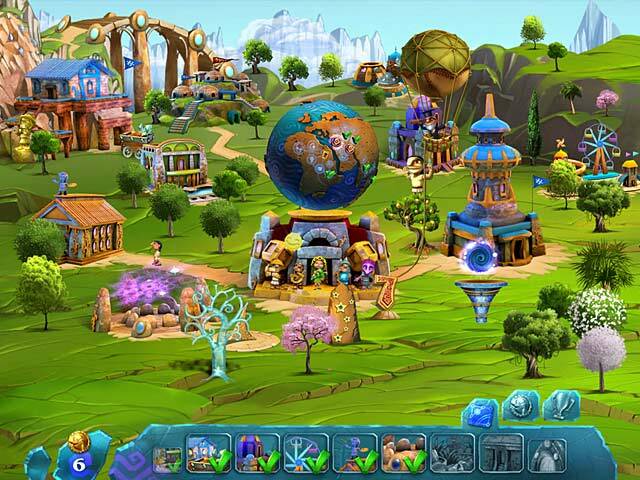 The last one was already awesome, 7 Wonders: Magical Mystery Tour, and this one's even better with improvements and more mini games and features :D Get to know more about hidden wonders in the world as you team up with aliens to rebuild them :) Nice work, Guild :P LOVE IT! 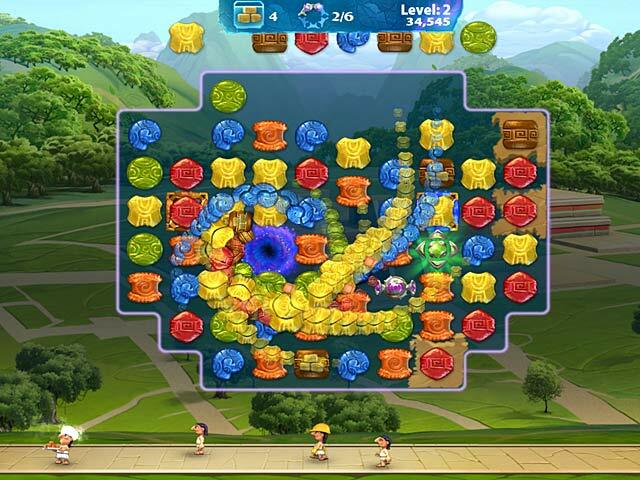 Rated 5 out of 5 by tomins1234 from Love this Game Fun, cute and colourful game. First time playing wonder game will buy more. Rated 5 out of 5 by suedid from Where's the premium edition??? I am NOT an expert gamer, so experts may find it boring, but I enjoy this game very much. For me it is challenging enough to keep my interest, yet not so difficult that it frustrates me into giving up. I never start a game with tips on, but this time it was a good idea to use tips because it took me a while to figure things out. The premium edition would be a nice plus, as it has extra content, but for now I am nowhere near done with the basic edition... there's plenty here to keep your attention! Rated 5 out of 5 by Shalfei from Ancient Alien Makeover I enjoyed this game very much! Rated 5 out of 5 by coffeeguy from Best Casual Game Ever I have a large collection of casual games. In fact, I have so many that it is embarrassing. =) Without a doubt, in the dozen years or so I have been playing casual games, 7 Wonders: Ancient Alien Makeover is my favorite by a longshot. I love all of the different variables that are all in play at once while playing a level - keeping an eye on the time, power-ups, getting enough resources to build. 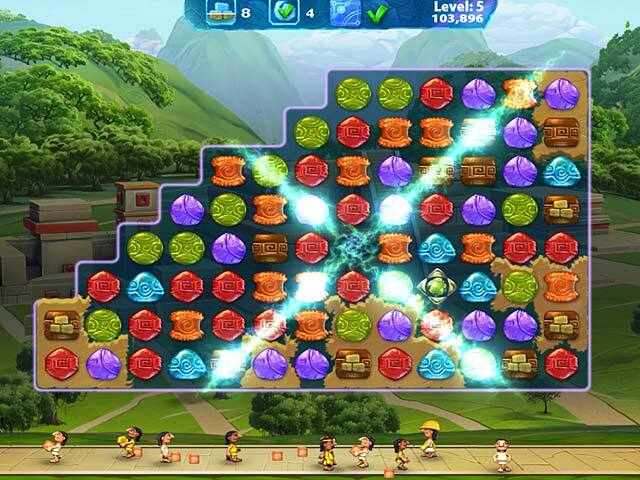 Then there is the very different game to play to earn power-ups - it can be very challenging as well. Building the 7 Wonders is great - watching these elaborate architectural wonders come to life is amazing. The art is above-par. Match 3 games aren't even my favorite genre when it comes to casual games, either. So for one to become my favorite game of all is saying a lot. Rated 5 out of 5 by denniann2 from a great game another enjoyable 7 wonders game! it was fun and wasn't overly long, though. i like these games because of getting to build the buildings. you decide what you want to do first and see it come together at each level. don't know too much about the sound quality, but the graphics are good. Rated 5 out of 5 by Zacx from Fun, fun, fun I love this game. I'm playing it for the second time. I wish there were more information (like what double bonuses means) but the graphics are great, it's got a playful storyline, it's not too difficult, etc. I recommend it to everyone!